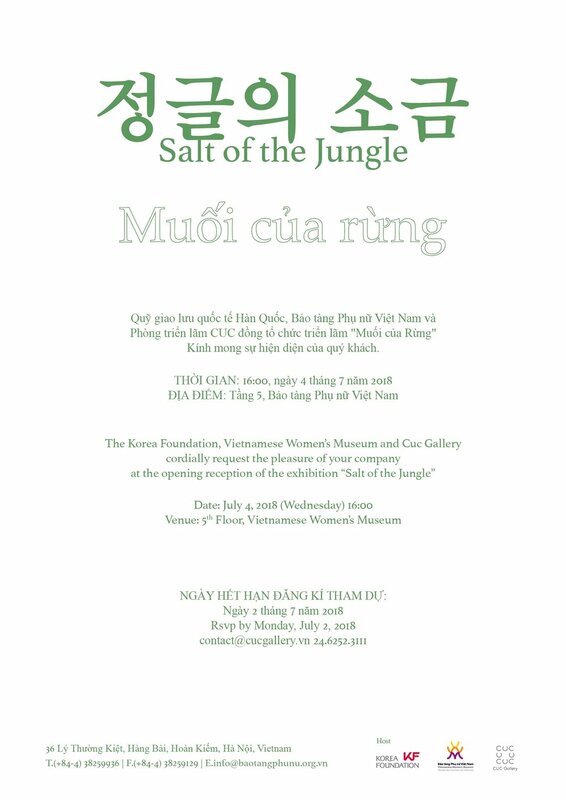 The exhibition "Salt of the Jungle" is part of the 25th anniversary program The Korea-Vietnam diplomatic relations, organized by the Korea Foundation. The exhibition is coordinated with the Vietnam Women's Museum, CUC Gallery. This is an opportunity for us to look back at the rapid transformation of the the society of the past 30 years under the eyes of the young artists of the two countries.